woods and papers etc，stamping characters， trademarks and patterns etc. stamping area，resulting in avoidance of stamping paper waste. ●The appearances are more beautiful，upgraded. ●Convenient operation ，high automatic degree，long service life and large pressure etc. 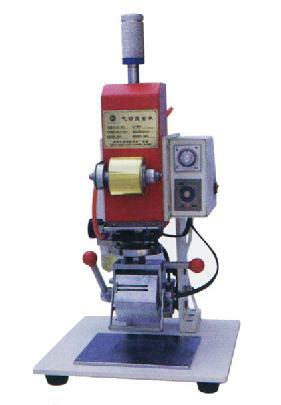 ●Meanwhile ，it is an ideal equipment for impressing and stamping in the footwear industry.